How many of us check the weather before hopping in our cars for our morning or evening commutes, before a road trip, or even before a quick trip to the grocery store? I’d hazard to say that many, if not most, of us do. But why? Why do we care what the weather is doing outside when we’re safely ensconced in our climate-controlled vehicular bubble? Is it just so that we can decide whether to grab our jacket or umbrella? Or is there perhaps an even more important reason to check the weather before jumping behind the wheel – anticipation of risk? 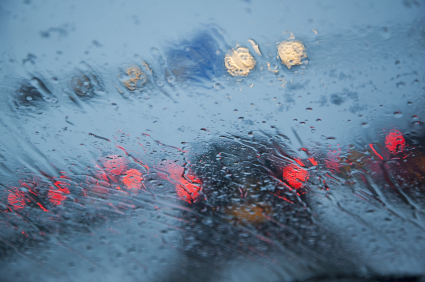 Weather is a critically important factor in roadway conditions. Rain or snow-slicked roads reduce tire traction, dramatically increasing stopping distances. Fog and precipitation of any kind reduce visibility, limiting how far ahead we can see, and therefore how quickly we can react to danger. Wind can destabilize high-profile vehicles, and the low sun angles just after sunrise and just before sunset can lead to blinding sun glare. 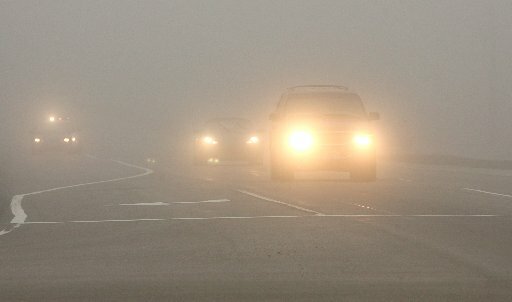 According to the National Highway Traffic Safety Administration, atmospheric conditions are a critical factor in almost 25% of all motor vehicle accidents in the US: adverse weather has historically been a critical factor in 8.4% of collisions, with another 16.4% critically affected by sun glare. 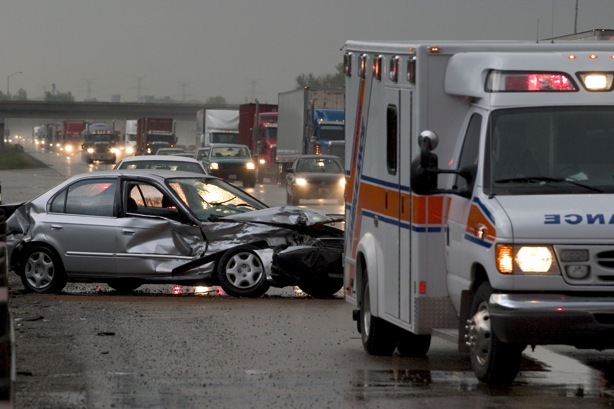 With an average of 10.5 million motor vehicle accidents annually in the US, atmospheric conditions are therefore a vital factor in over 2.6 million crashes each and every year. One such weather-impacted accident occurred in January of 1998, when former Boston Red Sox player, Mo Vaughn, flipped his SUV while driving home from Rhode Island. 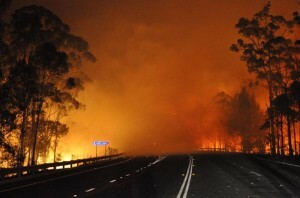 Vaughn was originally arrested on suspicion of operating his vehicle under the influence, but a forensic meteorological analysis of the weather conditions on the evening of the crash revealed that dense ground fog blanketed the area in which the accident occurred, leading to extremely low visibility. Due in large part to forensic meteorological information about the hazardous weather conditions present at the time of the accident, Mo Vaughn was acquitted of the OUI charge. With summer comes an increase in the number of afternoon thunderstorms and their accompanying hazards, especially here in Florida: blinding rain, slick roads, strong winds, even hail and tornadoes. These weather conditions can and do contribute to motor vehicle accidents and deaths. So, check the weather before you drive, and not just to inform wardrobe decisions. Anticipate any weather-related risks and take appropriate precautions (like leaving a bit earlier than planned, driving more slowly, and leaving more distance between you and the car in front of you). In the unfortunate event that you or a client is involved in a weather-impacted accident that results in criminal charges or an insurance dispute, give Blue Skies Meteorological Services a call or send us an email. We will gladly provide a free initial consultation to determine how a forensic meteorological analysis could support your case by revealing the exact weather conditions in place at the time and location of the accident. All good things must come to an end. After almost four months of relatively quiescent weather, the 2014 tornado season kicked off quickly and tragically over the weekend. On Friday evening, the year’s first intense tornado (defined as an EF3 or stronger) touched down in Chowan County North Carolina, killing an 11-month old child who was trapped beneath the debris of his home. 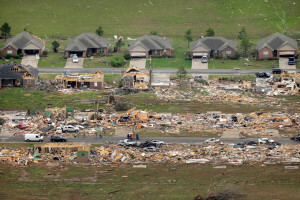 That storm brought to an end two record-breaking streaks of benign weather, marking both the latest calendar date for a year’s first EF3 tornado as well as the latest calendar date for a year’s first tornado death. 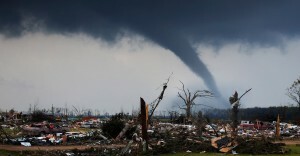 Only two days later, on Sunday, April 27th, an outbreak of severe storms spawned multiple tornadoes that killed 16 people in Oklahoma and Arkansas. The most substantial damage occurred in central Arkansas, where an 80-mile-long path of destruction swept through northern Little Rock, leaving damage reportedly indicative of an EF3 or stronger tornado. The same slow-moving severe weather system hammered Mississippi, Alabama, and Tennessee on Monday and is expected to continue bringing dangerous weather, including the possibility of strong tornadoes, to the southeastern US through at least Wednesday. 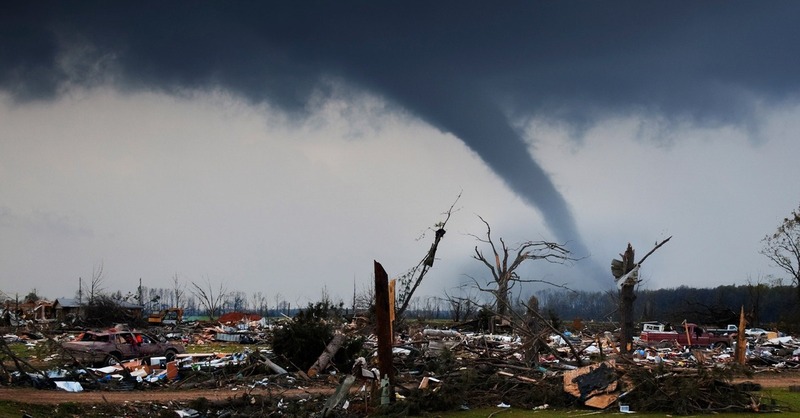 Although intense tornadoes are relatively rare, accounting for approximately 5% of all tornadoes nationally, they are responsible for a disproportionate 75% of all tornado fatalities (statistics for North Carolina). 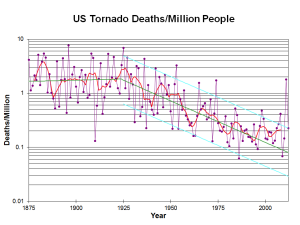 While each tornado fatality is tragic, tornado deaths have been generally declining in the US since the 1920’s, with an average of 80 people killed each year by tornado activity. 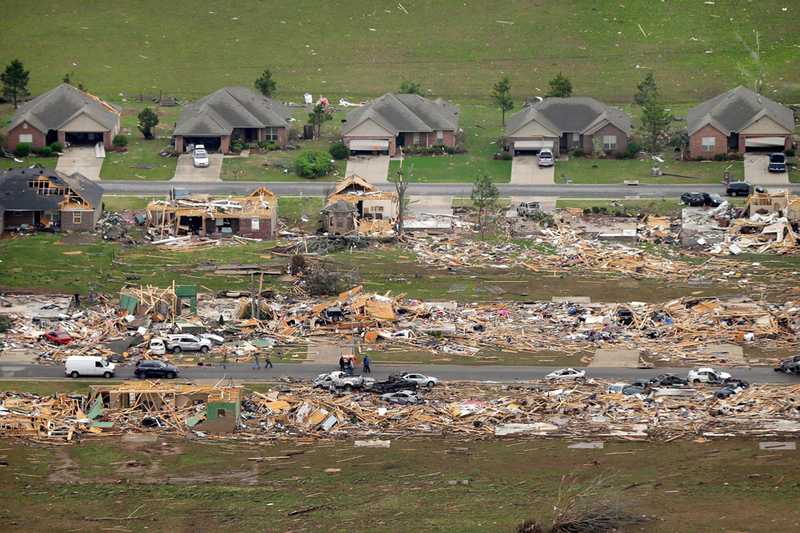 Although the majority of tornado damage and fatalities are attributable to rare intense tornadoes, even much more common weak tornadoes and severe straight-line winds can cause substantial damage to property, felling trees, removing shingles and siding from homes, and flinging debris into structures and vehicles. Most homeowners insurance covers storm damage, including damage caused by wind, hail, lightning, debris, and falling trees. 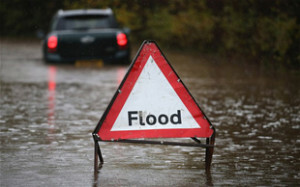 One notable coverage exception found in almost all insurance policies, however, is storm-induced flooding, including street flooding, storm surge, and areal flooding due to rising rivers, streams, and creeks. 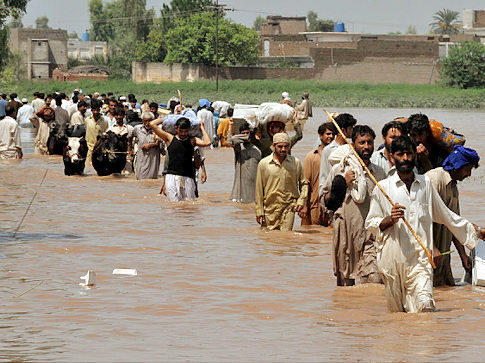 For such coverage, a separate flood insurance policy is required. 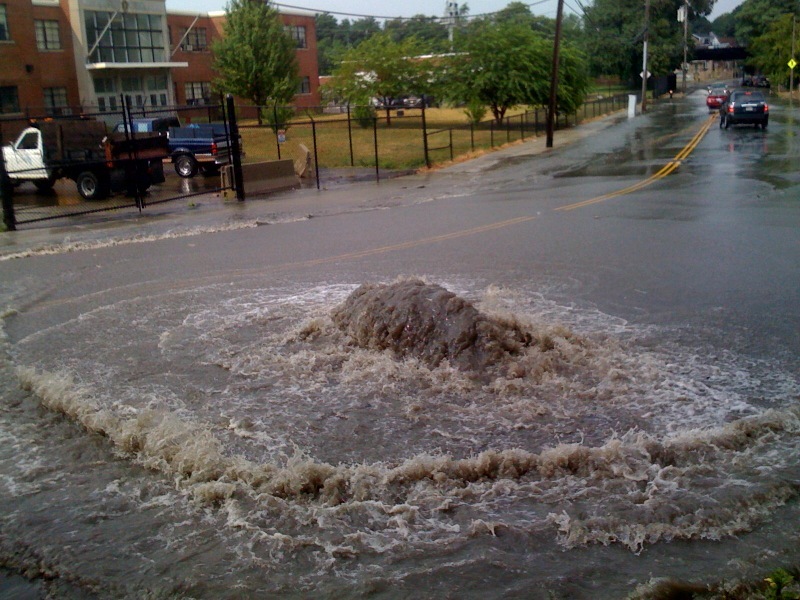 In some cases, though, street flooding is caused not by an exceptional storm (i.e. 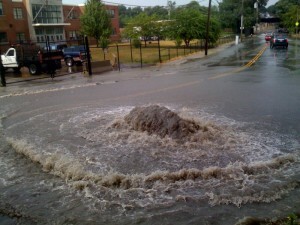 an “act of God”) but rather by an insufficient storm water drainage system. In such instances, liability for damages may rest with the planning or maintenance authority responsible for the storm water system, rather than with the homeowner. If a neighborhood or section of a neighborhood regularly floods, even during normal, everyday storms, the drainage system may be deficient. A forensic meteorological analysis (like this one from BSMS) of known storm events that led to street flooding, considered in the context of the local rainfall climatology, can reveal whether the drainage system was adequately designed and maintained to handle foreseeable events. In addition to flood damage, homeowners insurance will not cover damage caused by a lack of proper maintenance. Occasionally, negligence may be suspected as a contributing factor to storm damage, leading to a denial of claim, even when it is not immediately clear whether damage would have still occurred with proper maintenance. 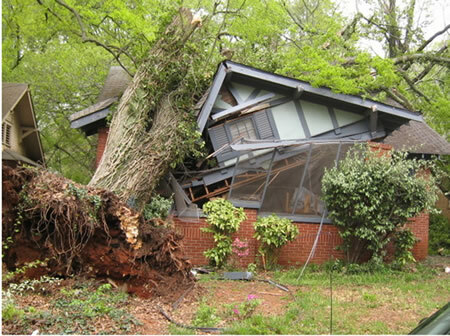 For instance, if a tree falls during a storm and is later found to be rotten, the insurer may deny the homeowner’s claim, insisting instead that negligence on the owner’s part (failing to remove a rotten tree) caused the tree to fall, rather than the storm. Such insurance disputes can lead to nasty legal battles. Investigation as to whether the homeowner knew or suspected that the tree was rotten (i.e. whether he or she was on notice), examination of other damage throughout the area (did healthy trees of a similar size fall nearby during the same storm? ), as well as a forensic meteorological analysis (were wind speeds with the storm sufficient to fell a healthy tree of that size? did heavy rainfall and saturated soils reduce the root stability of the tree?) can greatly assist in determining the ultimate cause of the damage and thereby assist in settling such disputes. So, the bottom line is this: storm season is here, and after a late start, it appears to be making up for lost time (at least at the moment). 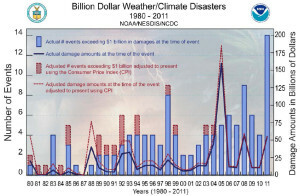 Extreme weather, which includes severe local storms as well as tropical cyclones, droughts, heat waves, areal flooding, wildfires, and winter storms, causes tens to hundreds of billions of dollars in damage annually in the US. Severe local storms are, on average, responsible for more than 10% of all damages, with tropical cyclones and droughts/heat waves responsible for nearly 50% and 25%, respectively. While severe local storms are not responsible for the largest percentage of damage costs, they do represent the most common/frequent type of extreme weather experienced in the United States, and almost everyone, at some point, will experience storm damage. Make sure you understand your property insurance policy, including any exceptions, and take care of any nagging maintenance issues (like rotten trees or loose roof shingles) that could jeopardize a storm-related insurance claim. In the event that you do find yourself in a weather-related insurance or legal dispute, whether as the insured or the insurer, the plaintiff or the defendant, do not hesitate to contact Blue Skies Meteorological Services. We will gladly provide a complimentary consultation to discuss how a forensic meteorological analysis could determine the role that the weather played in your case and how such an analysis could facilitate an advantageous resolution of the dispute. As March transitions to April, meteorologists throughout the country begin to turn their attention from winter weather to severe weather. 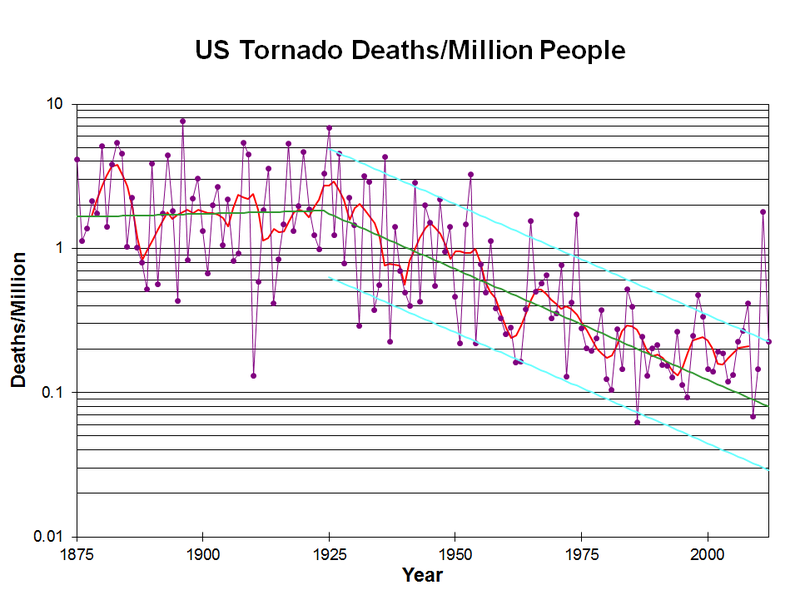 Although severe weather can strike at any time (tornadoes have occurred throughout every month of the year), the peak of severe weather risk in the United States occurs during spring and summer. Warm air, humidity, and strong frontal systems are the fuel for severe storms, and all three of these ingredients begin to meet during spring – that most welcome transition from winter’s bitter cold to summer’s sweltering heat. As southerly spring breezes push warm, humid air from the Gulf of Mexico northward and deeper into the heart of the North American continent, it inevitably clashes with cold, dry air pushed southward by powerful low pressure systems that swing across the country, refusing to give up winter’s ghost. Where the warm, humid air meets the cold, dry air, explosively powerful thunderstorms often form. Although we should ideally be prepared for severe weather at any time of the year, the onset of “storm season” offers an annual opportunity to refresh our emergency plans, supplies, and knowledge about severe weather. When severe weather threatens, the National Weather Service alerts the public by issuing a severe weather watch or a severe weather warning. 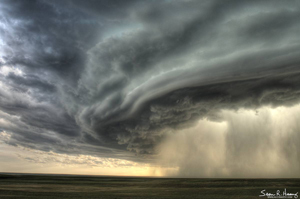 Severe thunderstorm, tornado, and flash flood watches and warnings are common during the spring and summer months. Watches are generally issued first, cover a large area, and indicate that conditions are ripe for the development of a particular type of severe weather. A watch does not indicate that severe weather is immanent at your location, just that such weather is likely to occur somewhere within the region for which the watch has been issued (the “watch box”). When a severe weather watch is issued for your location, be alert for rapidly changing weather conditions and prepare for the possibility of severe weather. If a severe weather warning is issued for your location, start carrying out your emergency plan. A warning means that severe weather is bearing down. Tune in to your NOAA weather radio and local meteorologist to monitor the progress of the storm or weather event. Seek appropriate shelter and follow the recommendations issued with the severe weather warning. Additional information about compiling a complete disaster supply kit can be found at FEMA’s Ready.gov . When severe weather strikes, you should be prepared for several hours to possibly days without electricity as well as possible disruptions in the supply of drinking water. During that time, you’ll want to be able to receive weather and news updates as well as see where you’re going (hence the radio and flashlights). Preparing for hurricanes is even more involved, and we’ll cover that in a later post. Some basic information about preparing for and responding to severe weather is provided below. 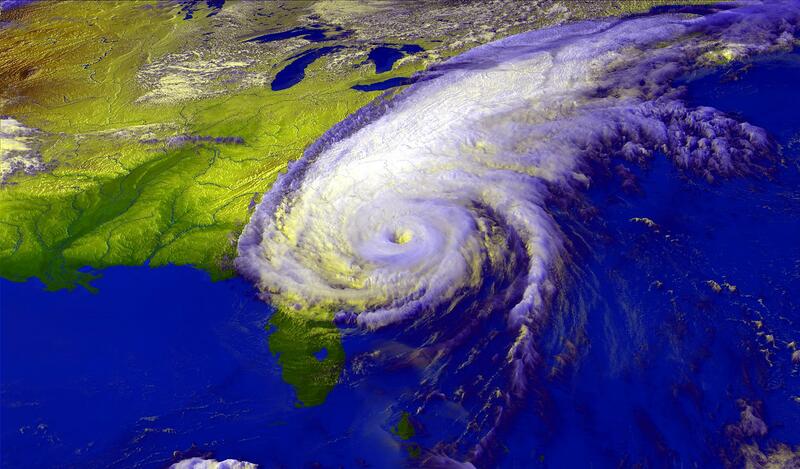 For comprehensive information about preparing for severe weather, please visit FEMA’s severe weather readiness website. Severe thunderstorm and/or tornado – prepare a safe, sturdy place to shelter through the storm (small interior room on the lowest floor, basement, safe-room, etc); stock your shelter with your emergency supply kit; monitor NOAA weather bands and local news for storm updates. Hurricanes – know your home’s vulnerability to wind, flooding, and storm surge; monitor the hurricane forecast closely; have a specific emergency plan in place; have a well-stocked disaster kit in place; prepare for both the possibility of sheltering in place as well as the possibility of needing to evacuate; if you are going to evacuate, begin making those arrangements at least 24 hrs before expected landfall. Note: Blue Skies Meteorological Services presents on the topics of severe weather preparedness and the meteorology of severe local storms. We are also available to assist in the development of emergency plans tailored to the specific needs of your business as well as the weather and climatology of your region. Well, El Niño is looking more and more likely during summer and fall of 2014! As we mentioned back in February, both traditional El Niño Southern Oscillation (ENSO) indicators as well as a new statistical forecasting technique that utilizes Pacific air temperatures are suggesting possible El Niño conditions by later this year. During the first week of March, the Climate Prediction Center issued an El Niño Watch, suggesting a moderate (50%) likelihood that warmer than average sea surface temperatures (SSTs) will develop in the eastern equatorial Pacific Ocean by the summer or fall of this year. ENSO is arguably the most important driver of interannual climate variability across the globe, strongly affecting both temperature and precipitation patterns. Here in the US, El Niño is most strongly felt during winter, when it typically brings mild weather to the northern states, wetter weather to the southeastern states, and drier weather to the upper Midwest. For a more in-depth discussion of the causes and impacts of El Niño, please check out NOAA’s Pacific Marine Environmental Laboratory and the Climate Prediction Center. 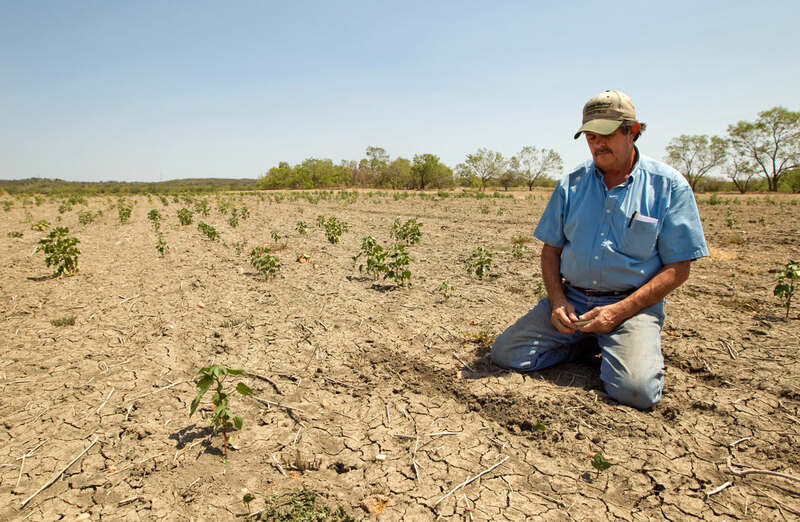 Because of its large impact on weather, El Niño also has a large impact on national and global economies. From agriculture to fishing, from energy production and demand to home construction, from natural disaster costs to tourism — ENSO directly affects up to 10% of the US economy. 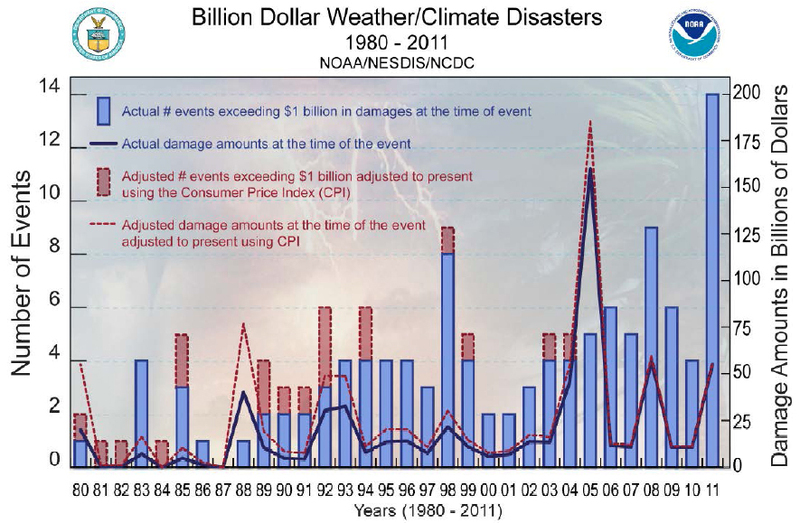 Intense El Niño events cost the US economy tens of billions of dollars. Some of that cost is unavoidable, but much of it is not. For that reason, early and accurate forecasts of ENSO conditions are critical. And there is good news on the forecast front! We mentioned in February that, due to budget cuts, NOAA’s network of buoys dedicated to monitoring equatorial ocean temperatures (and therefore detecting the early signs of El Niño or its opposite condition, La Niña) had degraded to operating at a mere 40% effectiveness. The Tropical Atmospheric Ocean Array (TAO) is about to get some much-needed TLC, according to Bloomberg News and the National Weather Service (NWS). 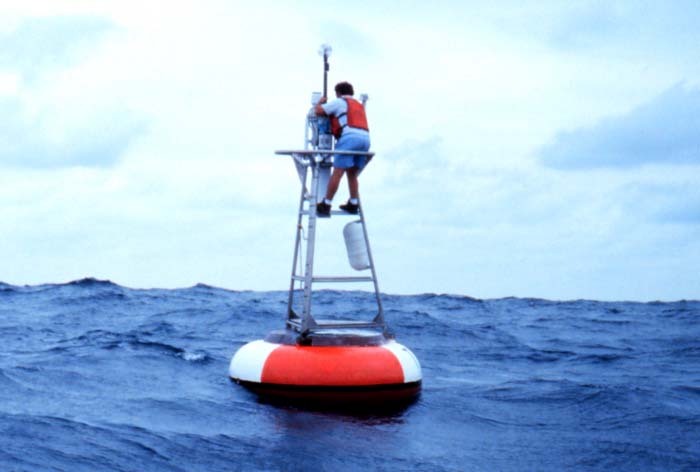 Thanks to some budget relief in 2014, NWS is set to start repairing 70 TAO buoys, bringing the operational capacity of the TAO array up to 80%. This doubling of the current capacity will provide significantly more detail about ocean conditions, which in turn can increase lead-time for El Niño forecasts by several months, thereby allowing weather-sensitive industry to prepare early and thoroughly.